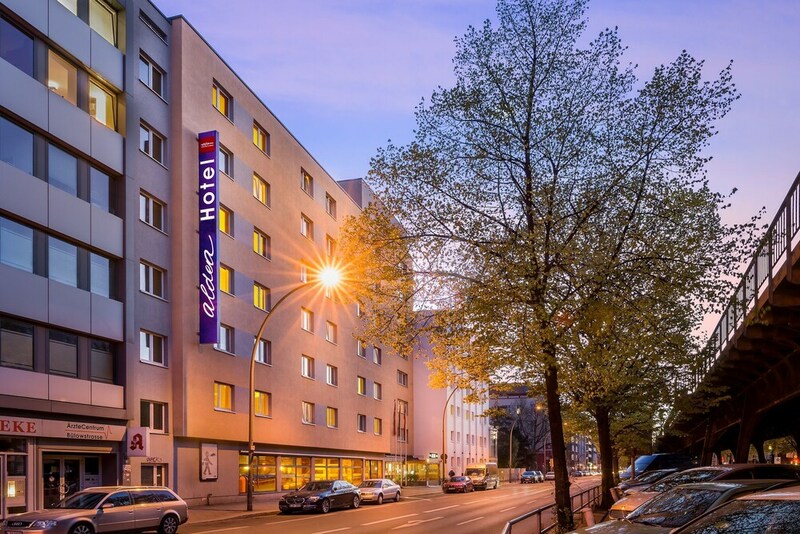 Located in Schoeneberg within a short walk of Kurfürstendamm, Novum Hotel Aldea Berlin Centrum is within a mile (2 km) of other popular sights such as Berlin Zoological Garden. This 230-room, 3-star hotel welcomes guests with conveniences like a bar/lounge, free in-room WiFi, and express check-in. For your convenience, a buffet breakfast is served for a fee each morning from 6:30 AM to 10:30 AM. At the end of the day, relax with a drink at the bar/lounge. Guests can enjoy cable TV and stay connected with free WiFi. The bathroom offers hairdryers and free toiletries. Other standard amenities include free weekday newspapers, a safe and a desk. Novum Hotel Aldea Berlin Centrum features free WiFi in public areas, express check-in, and express check-out. Self parking is offered for EUR 7.50 per night. The front desk has multilingual staff standing by 24 hours a day to assist with luggage storage and tours/tickets. This hotel also has free newspapers. Novum Hotel Aldea Berlin Centrum features tour or ticket assistance, multilingual staff and complimentary newspapers in the lobby. Public areas are equipped with complimentary wireless Internet access. A bar/lounge is on site where guests can unwind with a drink. This Berlin hotel also offers express check-in, express check-out and a lift. Parking is available on-site at a surcharge. Novum Hotel Aldea Berlin Centrum is a smoke-free property.